I am sitting at the San Jose airport and waiting for my flight to Las Vegas. 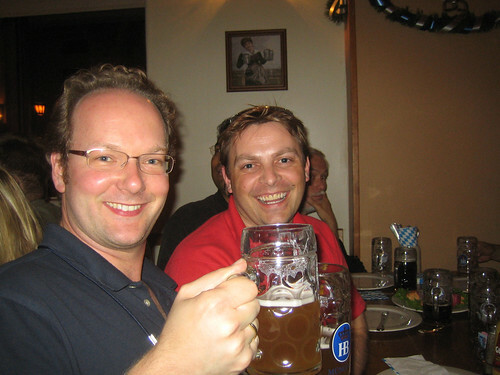 I actually just returned from the European SAP TechEd on Friday. It was a great event and we had a lot of Adobe related activities. 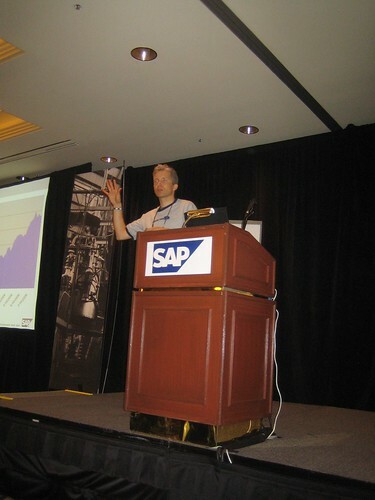 I specifically enjoyed the SAP Developers Network day and showcasing Flex to SAP developers. Enrique Duvos, our European Flex evangelist, helped me with the sessions and I learned some more Flex Tips and Tricks. He also gave me a great presentation highlighting 10 reasons why one should use Flex to create Rich Internet Applications. I uploaded it on Slideshare, but the Adobe Myriad Pro Font got butchered in the process. BTW Slideshare just opened to the public today (it is still in Beta), so try it out! I also filmed some of the highlights of SDN day and SAP TechEd, but did not have a chance yet to edit and upload the video. The interest in Adobe technology was overwhelming and our booth was busy 8 hours a day. I had a good meeting with Eddy de Clercq. He created SDN World and we discussed how SDN World could be improved with Flex. I am hoping I can find a Flex engineer at MAX who is interested in this little side project. Talking about MAX, the Adobe customer conference… That’s the reason I am traveling again to Vegas (at least third time this year I think). I am very excited since this is my first MAX conference and people told me it is very energetic and lots of hands-on and ad-hoc techie stuff going on. I am particular interested in all session around Apollo (and obviously Flex). Even as an Adobe employee you sometimes learn more at a conference then back in the office. Next week I am having a workshop with SAP Research around Adobe technologies and MAX will be a good opportunity for me to get an overall update on interesting products and projects. Also I am presenting at MAX. There will be an invitation only session (Wednesday 10:00 – 11:30am) for Adobe partners to learn more about the strategic partnership between Adobe and SAP and why this is relevant to the larger Adobe ecosystem. I am presenting together with Roman Bukary from SAP. If you are at MAX, work for an Adobe partner, but did not get an invitation please let me know and I will get you one. Update: My 15 minute presentation slot at MAXUP (5th floor of the conference center) is tomorrow (10/24) at 11:30am. I just learned today that there will be a shadow unconference called MAXUP as part of the Adobe MAX developer conference. That’s excellent! I find these events often more useful then the “real” conference program. 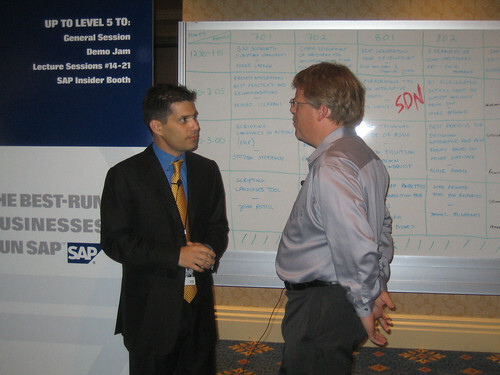 The SDN Day as part of SAP TechEd was a good example. 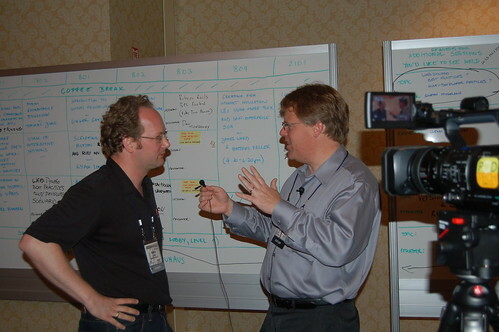 Even back in the 90’s when the term “unconference” did not exist I really enjoyed technology discussions and working on ad-hoc projects at hacker meetings like the Chaos Communication Congress in Berlin. If there are enough people who are interested I could talk about Flex integration with SAP and do some demos. Well, I hope to see you at MAXUP in Las Vegas (or next week at SDN Day and SAP TechEd in Amsterdam). P.S. : Funny Fact – Adobe MAX will be my last conference for a while since I expect my first baby around mid of November. It is a boy and his name is Max… and no, this has nothing to do with the conference… What do you think? I am not that crazy… Well I am geeky enough however to have reserved his domain and put up a baby blog. Great interview from Knowledge@Wharton with SAP’s CEO Henning Kagermann. He discusses how web technologies transform enterprise software, the importance of partnerships, including a discussion about the strategic partnership between SAP and Adobe, and his interest in rock music. Now that I am fully recovered from Las Vegas (yes it took two weeks) and already preparing for SAP TechEd in Amsterdam I wanted to capture my memories from the Demo Jam. 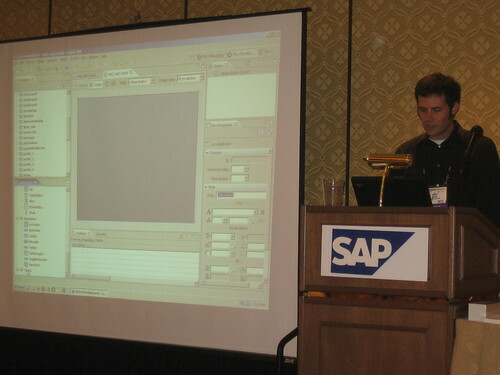 As you probably know I participated this year in the SAP TechEd Demo Jam showing how to create an Adobe Flex application and connect it to an SAP backend. My original idea was to present a Rich Internet Application for a customer support scenario which we already developed with our SI partner company Roundarch. It is pretty cool and shows the web service communication between the Flash front-end and the SAP backend as well as real-time data messaging between multiple clients. Great idea, but didnâ€™t fly with the SAP Demo Gods. They wanted to see live development on stage. Great, so here I had two weeks left to develop a new demo which can be delivered in 6 minutes and includes live development against an SAP backend. Luckily I have great colleagues who helped me out. Juergen Hauser, who is working in the Adobe SAP partnership team in Walldorf showed me how to create and configure Web Services in our test SAP ABAP server (which is located in Ottawa). Then I worked with Flex evangelist James Ward to create a compelling demo which is simple and short enough to be delivered in 6 minutes. We finalized the whole project on the morning of Demo Jam day. So obviously when I did the dry run that afternoon with Jeff Word, nothing worked. I know I had it all under control, but Jeff was definitly nervous. I spent the rest of the afternoon practicing all steps and rehearsing the demo. Two hours before the start of the Demo Jam I hooked up my laptop on stage did a couple of more trial runs and everything workedâ€¦ Yeah! Then the official part began and as presenters we were huddled into the VIP area with Shai and he exchanged some war stories about live demos. Next was a photo shoot of everyone and at that point in time I just wanted to get on stage and get it over with. Well unfortunately my demo was the second to last, so I spent time joking around with Ed and Dan who had the demo slot before me. After what seemed to be an eternity finally it was my time to enter the stage (while Ed and Dan showed of their excellent SAPlink demo). A quick check to see if the computer and network are still up and runningâ€¦ OK! Quick check of the application itselfâ€¦ OK and ready to go. So here was my turn in front of about 1000 attendees. After the introduction from Jeff the clock started (did I mention you have only 6 minutes?) I started the SAP GUI and entered the transaction code â€œWSADMINâ€ to call up the Web Service Admin UI. Nothingâ€¦ Really, here I stand and nothing happens, UI does not come up (it worked just a couple of minutes earlier). Well, I thought now you need to improvise, so lets bring up Flex Builder. Just when I started to talk about Flex Builder (and in the back of my brain tried to figure out how I can build this application without access to the SAP Web Service) hell broke loose on my screen, various pop-up boxes informed me that I lost my VPN and network connection. I was paralyzed. That was the worst case scenario the demo super Super-GAU (a German abbreviation for the largest accident which can be assumed). Jeff recognized my pain and was kind enough to ask the audience to give me a second chance and have the last demo presenter go first. That gave me exactly 6 minutes to fix my problem. I checked the network cable and general settingsâ€¦ Everything seemed fine, except I had no network connection. 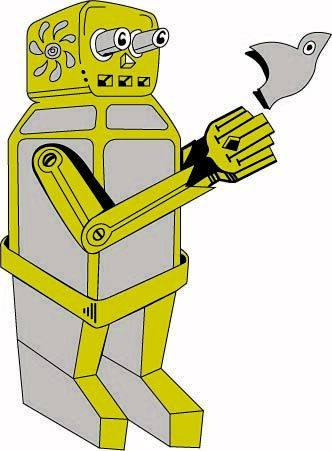 The SAP IT guy came to help and saved the day. He noticed that I had both wireless as well as the wired internet connection running. Apparently at the minute I started to demo the wireless connection timed-out for a couple of seconds and my computer got so confused that he refused to connect to the internet at all. After I manually turned of the wireless connection, everything worked again and just in time for my second chance. This time the demo went smooth and the audience went wild (especially after showing them the shark ;-). So believe it or not, but in the end I made second place and was classified as the best recovery every at a Demo Jam. Congratulations out to Ed and Dan who won with their excellent SAPlink tool! Hope to see some of you in Amsterdam!